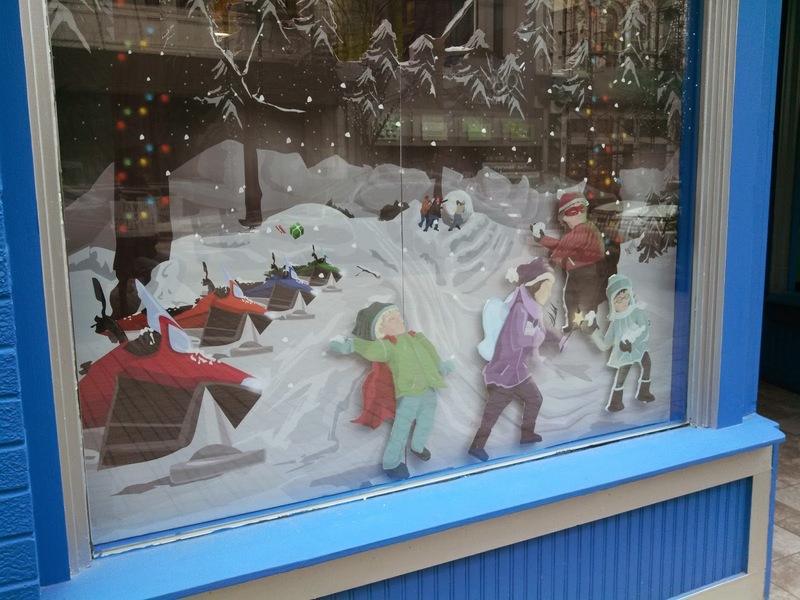 From late November to December 9th, the Window Wonderland art installation is going on downtown. 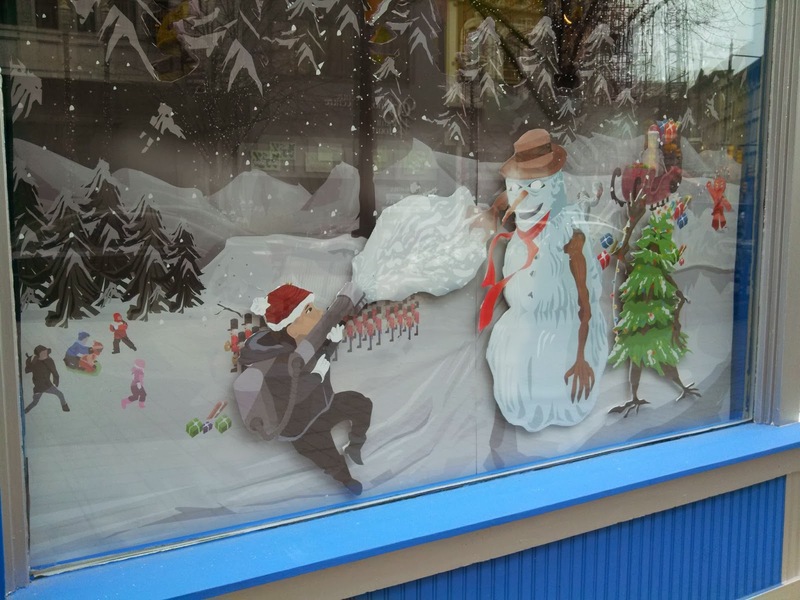 Basically it's an event where several stores and restaurants downtown let artists decorate their shop windows. 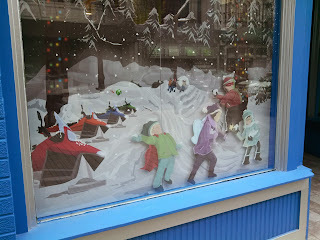 The two above are photos of the installation at Vault of Midnight, which is a pretty awesome comic shop downtown. 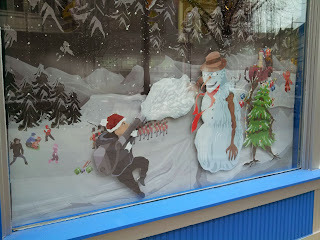 Here's the photo with snow effect, because for some reason Google+ added it.